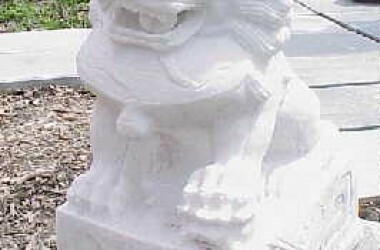 Home » Garden Art & Supplies » Chinese Garden Art » Fu Dog White Marble 18"
Fu Dog White Marble 18"
They are 18 inches high. The female has her paw on a cub and the male has his paw on a ball. Excellent workmanship. 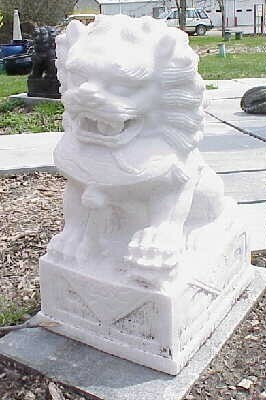 This item is suitable for home or garden, although they have been treated already for weather resistence. They are jet black.